When the audience become diners in the 'Faulty Towers' restaurant, pretty much anything can happen - because two-thirds of the show is improvised. The fun starts as guests wait to be seated. It then hurtles along in a 2-hour tour de force of gags and shambolic service as Basil, Sybil and Manuel serve a '70s-style 3-course meal together with a good dollop of mayhem. Expect the unexpected! Internationally acclaimed, the show was born in Brisbane in 1997 as a loving tribute to the BBC's best-loved sitcom. Hundreds of thousands of people around the world have seen it since. Today, nine teams of cast working from England and Australia tour around 20 countries a year. The show is also into its fourth year in London's West End, where it holds TripAdvisor's Certificate of Excellence for its six-shows-a-week residency at Amba Hotel Charing Cross. 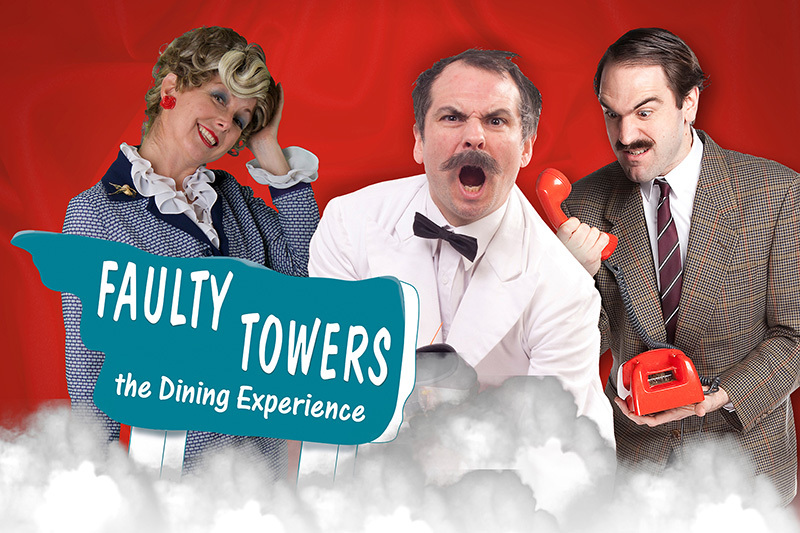 * Faulty Towers The Dining Experience is a loving tribute to Fawlty Towers the TV series written by John Cleese and Connie Booth. Their original TV scripts are not used in Faulty Towers The Dining Experience.